The wrapper is a medium brown and pretty rustic looking. It’s not very smooth as it has a fair number of veins and a couple of wrinkles. There are also a few water spots present. The seams are easily visible which adds to the rugged appearance. The caps are applied very nicely. 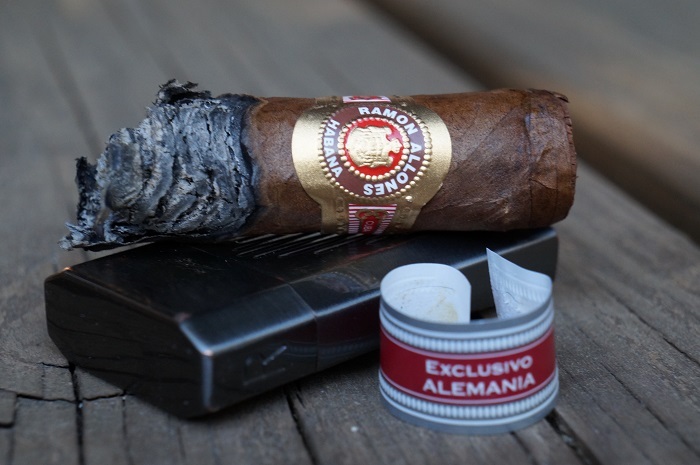 The standard Ramon Allones band is used but also has the traditional secondary band for the regionals. 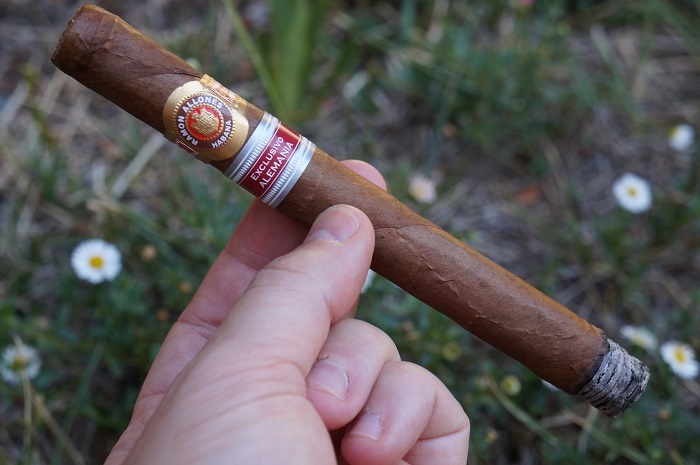 One other thing to note is that the cigar feels very light in the hand. The aroma from the wrapper is a very light hay. The aroma from the foot is a fuller hay with some sweetness. The pre-light draw also brings some hay and a bit of graham cracker. 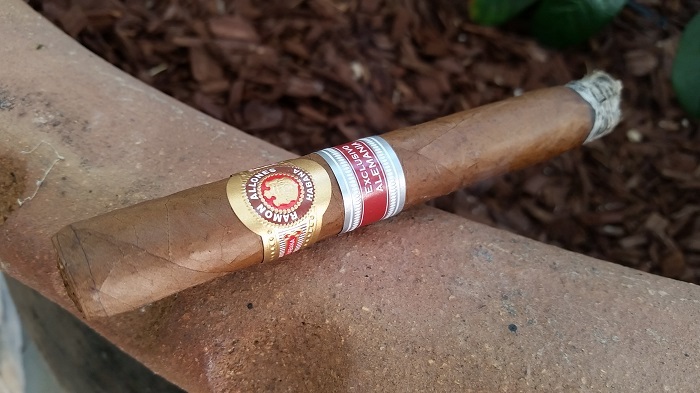 The Ramon Allones 898 Alemania Regional Edition has a smooth and silky Colorado Claro wrapper. It’s not the prettiest of wrappers with many dark brown marks and a couple green spots. 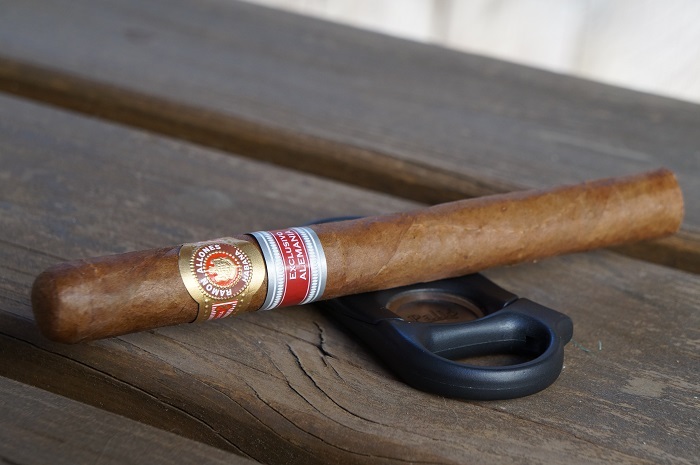 The cigar feels well packed with a uniformed give and no soft spots. 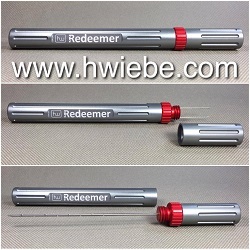 The head is finished off with a well adhered triple cap. Wrapper aroma provides white pepper, quality cedar and dried nuts. Foot aroma gives white pepper, sweet hay and cedar. Cold draw tells dry cardboard, lip tingling white pepper spice and cedar. On initial light, the flavor is very musty. A quarter inch in and some woodiness comes in to mix with the mustiness. The retrohale is a similar profile. 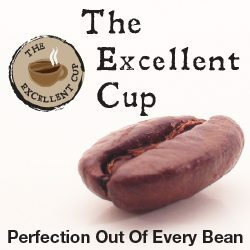 At the one inch mark, there is very little change in the profile other than the woodiness has slightly taken over the mustiness as the primary flavor. A little further in and the mustiness becomes the primary component of the retrohale. At about two inches in, the flavor becomes a bit bitter with the wood and mustiness still the primary flavors. The strength in this third was mild/medium. 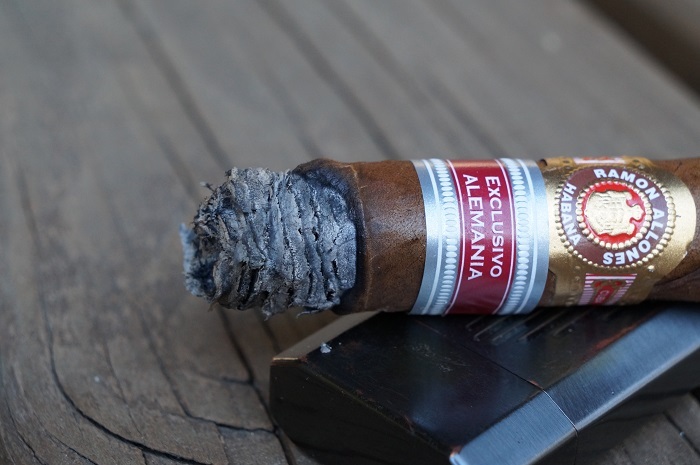 The first third of the cigar provides a slick and oily mouthfeel. Flavors of slight charred wood, airy sweet dried biscuits, cedar, hay, tongue layering white pepper spice and a very off-putting metallic note. Roughly 1.5 inches in, graham cracker notes enter the profile, a note I absolutely love. On the retrohale, sharp cedar, white pepper spice and an under-ripe stone fruit quality. The finish consists of lingering charred wood and the same metallic undertones. Body within the first third is a medium and strength medium-full. This third begins the same as the previous finished. Woody and musty with a slight bitterness. A quarter inch in, the woodiness actually resembles oak. Three quarters of an inch in, and the profile remains of oak, mustiness and a slight bitterness. About an inch in, the retrohale has become smoother with mustiness being the primary flavor with some bitterness that doesn’t detract from the profile. Nearing the end of the third, the profile becomes a little darker as some char joins the oak to go along with the mustiness and bitterness. The strength in this third was slightly below medium. Second third consists of many of the same notes as the first third. 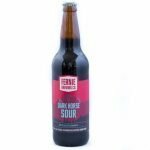 Still a slick and oily mouthfeel with flavors of slight charred wood, airy sweet dried biscuits, cedar, hay and tongue layering white pepper spice. The graham cracker as well as the under-ripe stone fruit notes is more prominent, which is a welcoming addition. Further, a lead like minerality is introduced. There is still the overshadowing metallic notes, at times masking the favorable aforementioned notes. About an inch into the second third, intermittent draws of disgusting gasoline/kerosene comes into the profile. 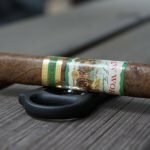 I’ve never tasted this note in a cigar and hope to never taste it again. Body and strength continues to be medium and medium-full, respectively. This third continues with the charred oak, mustiness and bitterness. The bitterness has increased some over the previous third. About half an inch in and the charred oak is the primary flavor on the retrohale with a bit of mintiness. At an inch in, the char fades back a bit and the oak becomes a bit brighter. An inch and a half in, the bright oak remains, along with the mustiness and bitterness. The retrohale is now primarily musty with a slight mintiness. The strength in this third was slightly below medium. Last thirds flavor profile is thankfully not as poor as the second third. The white pepper spice moves to the forefront, pairing well especially with the slightly charred wood, hay and cedar. Still the delicious graham cracker notes persists throughout the entire profile. Luckily, the off-putting kerosene/gasoline notes are no longer tasted but there is still a metallic note, still masking the favorable notes. Body and strength continues to be medium and medium-full, respectively. The burn was really good. Slight waves at times, but it always kept up with itself. Ash held on in one inch segments. 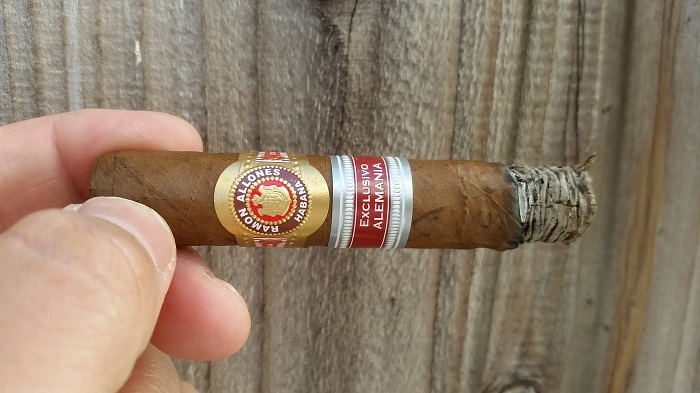 A very good burning cigar. The cigar burned slow and cool for a total smoking time of 125 minutes. The ash held on strong and tight averaging half inch ash marks. The draw was fairly tight. I cut a second time which helped some, but I didn’t go to the draw tool due to the ring gauge and what may have been a slightly fragile wrapper. I don’t think the draw caused any issues with the flavor though. 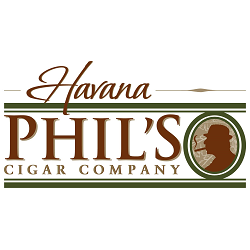 Welcome to Cuban cigars. 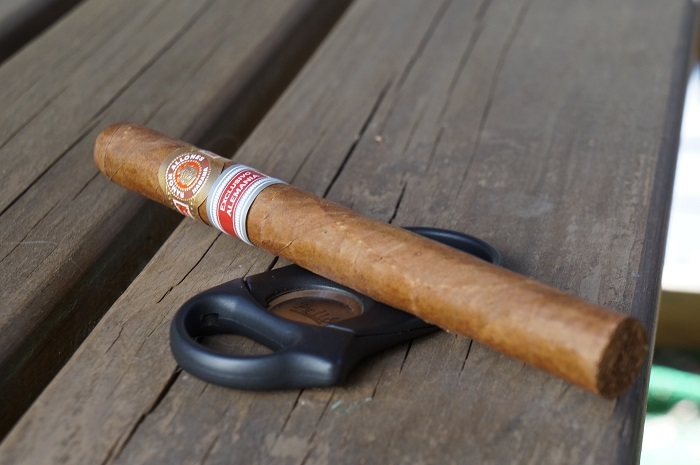 And what I mean by that is the unfortunate reality that they let the cigars age in your humidor rather than spending the right amount of time in their aging rooms. 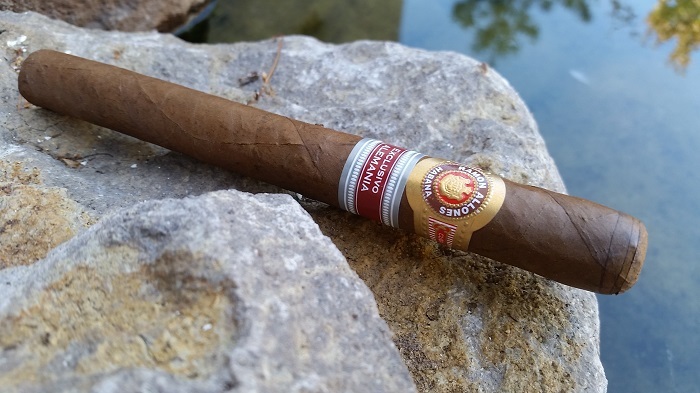 I’m pretty sure that this cigar wasn’t aged enough and wasn’t ready or was going through a “sick period.” There was no complexity to the flavors, and the flavors that were present could be found in most low quality cigars from any country. 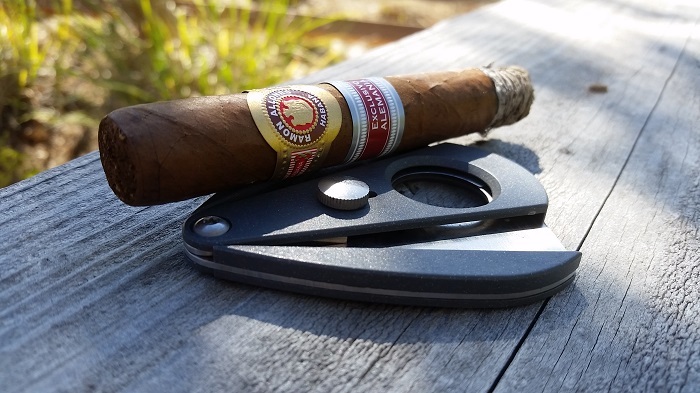 Woodiness and mustiness are some flavors I routinely find in Cuban cigars, but the level that these were at didn’t really make it pleasurable. 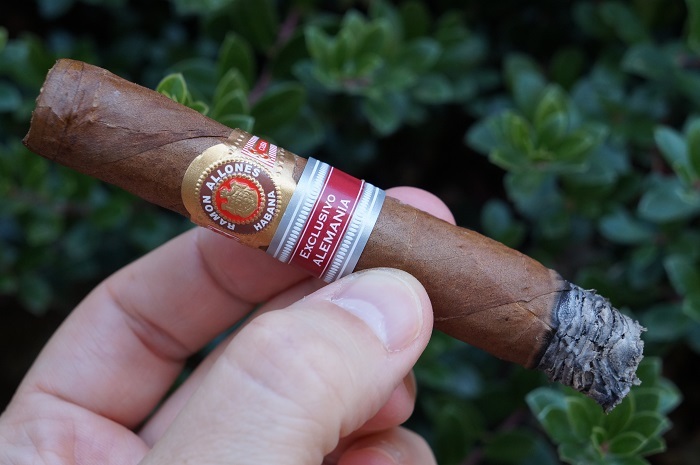 Seeing some other reviews and speaking to other people that have smoked this previously, they have mentioned that the cigar has performed better, but I just didn’t experience that at this time. 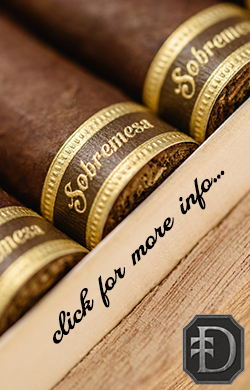 If this is a cigar that interests you, grab a couple and sit on them for a bit to see if they come around and are something that you might want to chase down again. The cigar was a tad tight, but that is me being incredibly picky. Still a very good draw that allowed me to taste all the good (and bad) flavors. 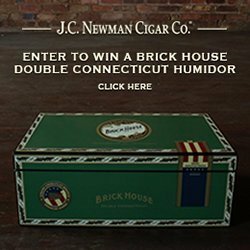 I believe timing was completely off for this cigar. 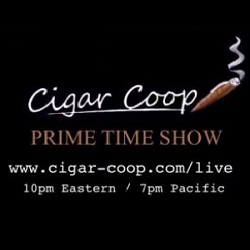 Meaning, the cigar is going through some type of “sick” period. Knowing that the cigar was boxed (although not necessarily rolled) roughly one year ago (July 2015) makes sense for why I tasted such off-putting sick notes. 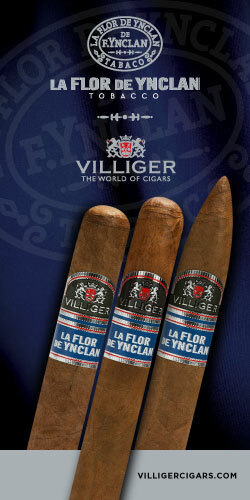 Even if the cigars were rolled before the box date, my palate gave the head nod to the sick period. I feel like I wasted a fine Cuban cigar in doing this. But then again, I won’t know until I smoke it right? Perhaps shame on me for not following the book rules. 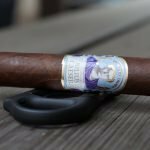 Looking forward to smoking this cigar again when it’s out of the sick period. I hated everything about this cigar. Yea… hope time will be nice to it.